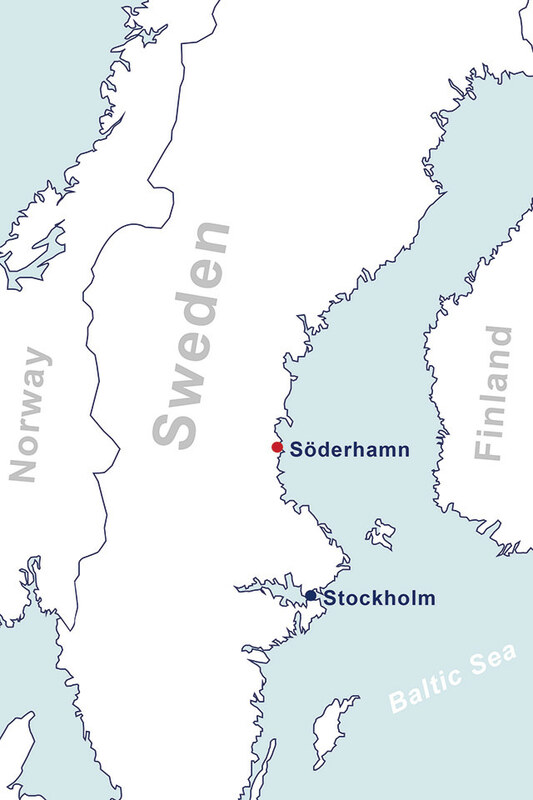 Söderhamns Stuveri & Hamn AB operates the ports Orrskär, Stugsund and Långrör in the Söderhamn region on the east coast of central Sweden and provides logistical services at three ports in Vallvik, Sandarne and Ala which are owned by industrial companies. Especially via the Orrskär port, large numbers of wood products, such as sawn timber, are exported from Sweden. With its multi-use cargo-handling equipment, the Orrskär port meets all requirements, especially for handling general and bulk cargo. An expansion of the port by 2 extra hectares of storage space and an additional berth is currently under review. The ports Langrör and Stugsund are used to handle cement, oil, chemical products and general cargo. In addition to port services on land, the company also offers waterside services. SSHAB owns and operates two tugboats used for tug assistance during ship maneuvers and as icebreakers during winter months to keep the harbors accessible. The website is defined by good user-friendliness and extensive information. For the first time, about 20,000 cubic meters of sawn timber were loaded for shipping to China in the Orrskär port near Söderhamn.